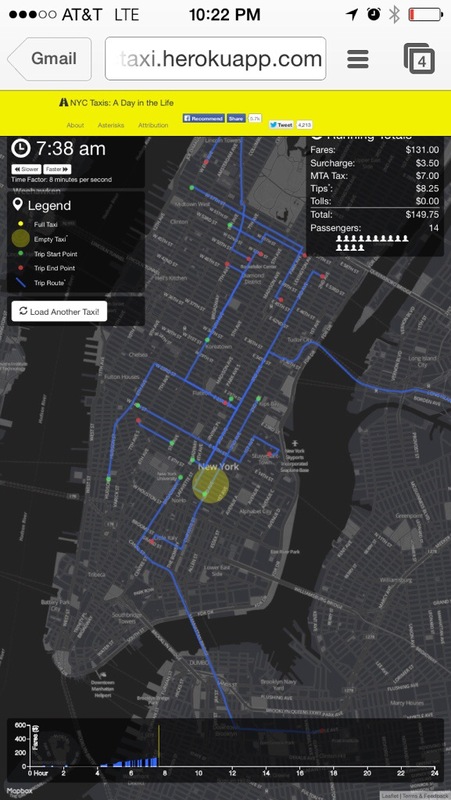 Here is the quick story of the NYC Taxi data. It’s a good example of how messy and fun civic technology can be. Chris Whong, the Brigade co-Captain of BetaNYC, gets the data through a FOIL request then sets up a torrent for it. Eric Fisher made maps from it. Then the stats people all jump on it. Vijay Pandurangan breaks the hash on the data, revealing drivers identities! Makes great suggestions for how Brigades can better talk with their cities about data and privacy. Big debate on security and if it should have even been anonymized by Mark Headd. What’s next for this data set? Got something interesting to build off of it?